When Gia Montgomery's boyfriend, Bradley, dumps her in the parking lot of her high school prom, she has to think fast. After all, she'd been telling her friends about him for months now. This was supposed to be the night she proved he existed. So when she sees a cute guy waiting to pick up his sister, she enlists his help. The task is simple: be her fill-in boyfriend - two hours, zero commitment, a few white lies. After that, she can win back the real Bradley. The problem is that days after prom, it's not the real Bradley she's thinking about but the stand-in. The one whose name she doesn't even know. But tracking him down doesn't mean they're done faking a relationship. Gia owes him a favor, and his sister intends to see that he collects: his ex-girlfriend's graduation party - three hours, zero commitment, a few white lies. Everyone, she's done it once again. Kasie West has written yet another practically flawless, unputdownable YA contemporary romance that you need ASAP on your own bookshelf. 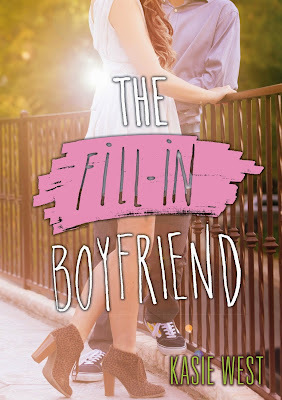 For weeks I've been eagerly awaiting this day, May 5, simply for the fact that Kasie's newest contemporary, The Fill-In Boyfriend, would be released in stores. Oh my, let me tell you: this book was worth the wait. After school, I hurried off to Barnes & Noble just to receive my own copy. 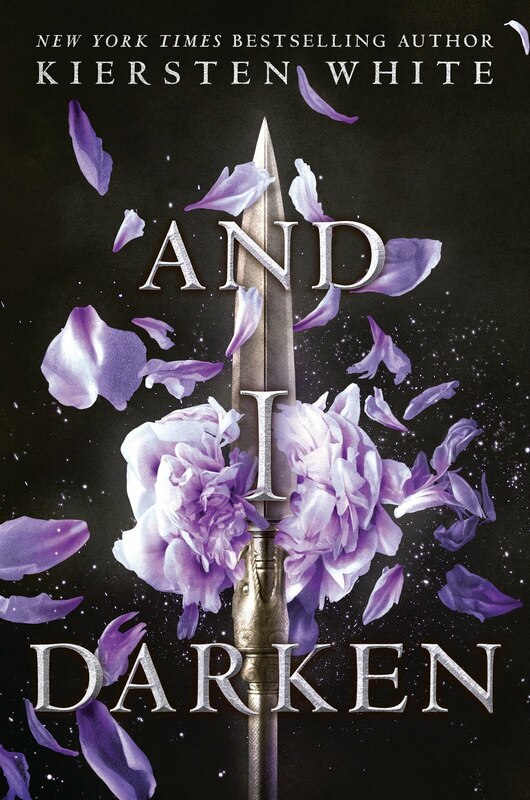 From page one, the reader is whisked off into Gia's realm at the start of everything - the start of a whole lot of problems and the start of new beginnings, too. We find our beloved main character in her prom dress, in the prom parking lot, breaking up with her then-boyfriend, Bradley. Yup, not too pretty. The problem is, Gia needs to show up with Bradley to prove, once and for all, she wasn't lying all these many months leading up to the event. Not to worry, quick-on-her-feet-Gia sees the solution to her woes and enlists the help of Fill-In Bradley all while in the parking lot, still in her prom dress and heels. Thus, my friends, is how it all begins. Thus, my friends, is the moment we are introduced to Fill-In Bradley, and as Gia only later learns, his real name, Hayden. I absolutely love how Kasie West can so expertly build up a budding romance between two characters over the course of just one 300-or-so page story. And the best part? Nothing feels rushed. Kasie West always, always takes her time, ever-so-careful with dialogue, situations, actions, and feelings between her characters. Everything feels so genuine and so real. I love it. I loved it so much, in fact, I just had to write this review immediately after closing the cover. And perhaps from reading the jacket copy, prospective readers will be turned-off by the "fluffy," somewhat cheesy sounding summary. If you're, shall I say, on the fence (only some people will get this), make the choice to give The Fill-In Boyfriend a try. Heck, not only this read, but Kasie's other written works as well. The cover and the summary may suggest a simple, shallow story, but Kasie West always delves further, always delivering what we, as the reader, so very much crave. If you want a cute contemporary, read this book. If you want a funny contemporary, read this book. If you want a heartwarming contemporary, read this book. Point being? This book has bits of everything and caters to all. Basically, read this book. Everyone says this, but seriously? I laughed. I smiled like an idiot. I felt that unmistakable aching in my chest as I felt for Gia. I couldn't seem to stop turning the pages. I wanted more. I have no regrets whatsoever rushing off to the bookstore after school today. 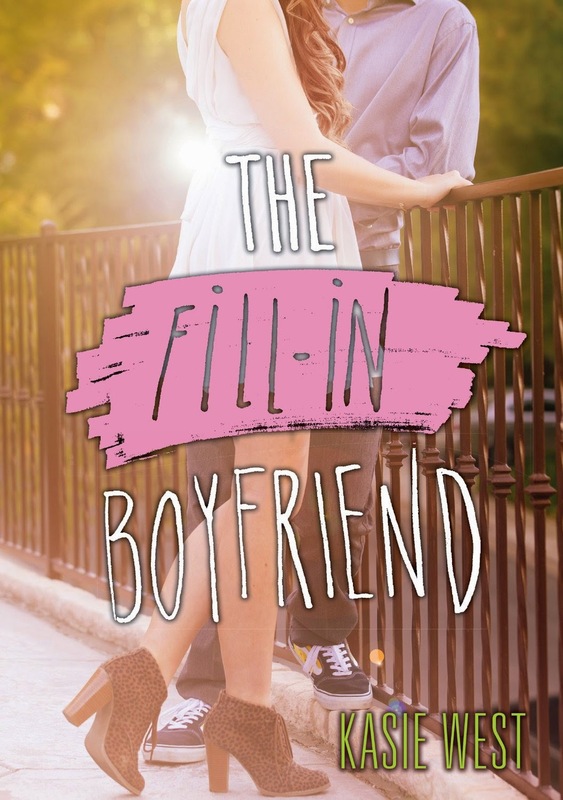 The much awaited newest contemporary from Kasie West, The Fill-In Boyfriend, delivers. But then again, I'm sure that much is obvious from my rave review. I've still yet to read this one and I am so excited about it! I absolutely love all of her novels - so there are high hopes for this one! Yes, aren't we all Kasie West fans? I actually have yet to meet someone who's otherwise. This book is definitely is another of hers I'm sure you'll love - I did! I've read all of Kasie's published books except for this one, and I'm so excited that you loved this! And I love your On the Fence pun. ;) This just sounds so adorable, and I'm glad that there's actually much more to it than just the romance (which I will probably end up loving either way). Haha, glad you liked the pun, Aimee. ;) I've also read pretty much all of Kasie's works, and each one always seems to deliver. And yup! I love how you can't just take her YA contemporaries at face value. Dang, I'm really excited for this one now! I've yet to read anything by Kasie I didn't like. You are so right-the romances never feel rushed and they are always so well developed, I love it! Thanks for visiting the blog, Alise! I'm in complete agreement with you: Kasie hasn't disappointed us yet! I definitely recommend this newest release of hers, so I hope you can get your own copy sometime soon. I'm sure you'll love it as I did! LOL. I love you so hard, Kanani. Although, I gotta say I'm disappointed in you . 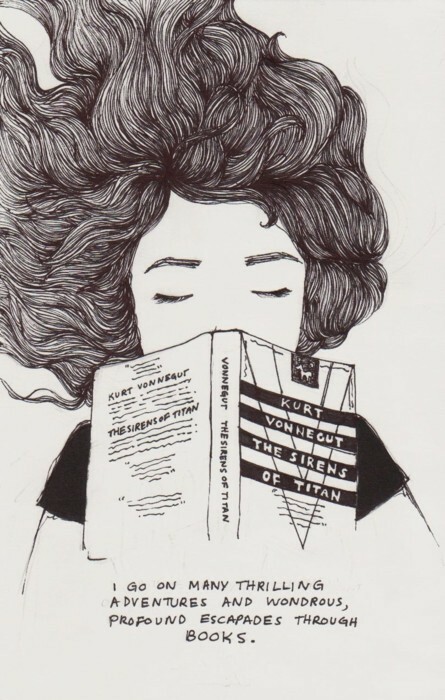 . . not a fan of reading?! WHAT? That's a crime. You've forever offended the book blogosphere, hahaha. I agree! I really adored this book (just like every other Kasie West book). Gia's growth is really amazing, esp for such a "light" read, and the romance had me smiling from ear to ear. Great review, and cute blog! Thanks so much for visiting the blog, Danielle! Yes, I think we're all Kasie West fans. Somehow she always manages to put a smile on our faces! I'm glad to hear you enjoyed the book as much as I did. 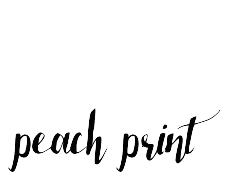 Hey, Abby, thanks so much for visiting the blog! But for real though, this book was so worth the read. Ahh, yes, Hayden's family was amazing. I especially loved Bec (what she did at the ending was HILARIOUS). I'm actually really loving your blog and coming back to it (: I haven't read this book but I agree: Kasie is Amazing. I love her ability to write both serious and fun novels. The Pivot Point stuff was a bit darker but it still had her Kasie feel to it and I hope I love this one!! Thanks, Nova! You're so sweet. :) I've actually only read her contemporary romances so far, but since I loved them all, I'm definitely going to check out her Pivot Point series. When you do get the chance to read The Fill-In Boyfriend, tell me how you liked it! I'll be looking forward to a review. So happy you enjoyed this book! Honestly seeing all these great reviews for The Fill-In Boyfriend has made me SO happy because I loved her other two books and had super high hopes for this one. So it's nice to know that it wasn't disappointing. and I totally agree with you about Kasie West's books! Like they sound shallow but they totally aren't. She always manages to have a lot of character depth and other important situations which add to the story even if the romance is still at the heart of it. Hey, Annie! Thanks so much for visiting the blog. Like you, I also loved Kasie's other YA Contemporary Romances, so I was a bit worried if The Fill-In Boyfriend would live up to its expectations. It did! You should definitely check out this newest release from Kasie when you have some free reading time on your hands.